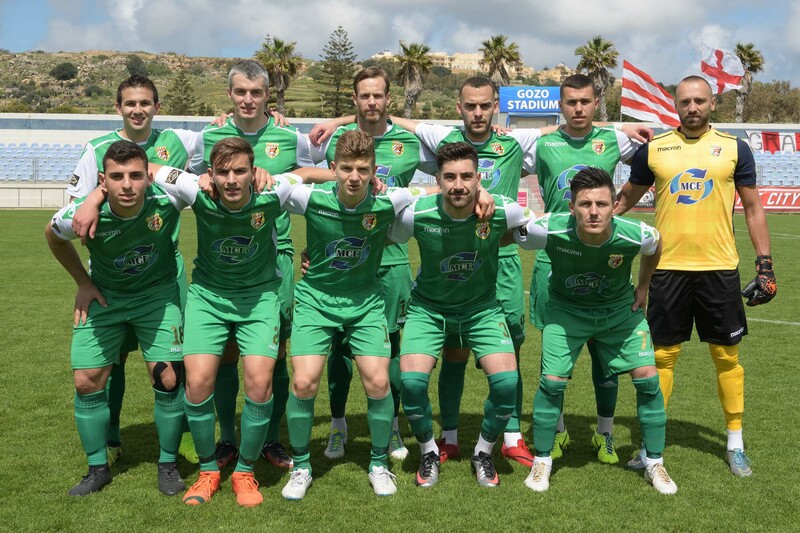 Dizdarevic, D. Cassar, A. Azzopardi, A. Debrincat, T. Vella, M. Hrubsa, Mercieca, O. Spiteri (C. Caruana), J.P. Mizzi (P. Debono), D. Sakic, M. Perisic. 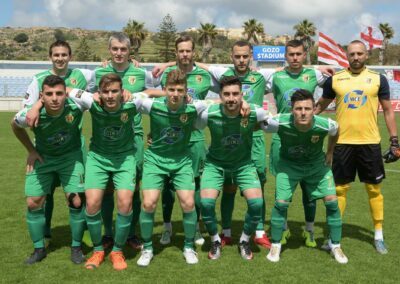 D.C.Spiteri, K. Borg (B. Meilak), P. Parnis (J. Grima), C. Debono (S. Dimech), O. Curmi, D. Martins De Souza, M. Debrincat, V. Tosic, S. Muscat, B. Polo Longarela, A. Ademilua. 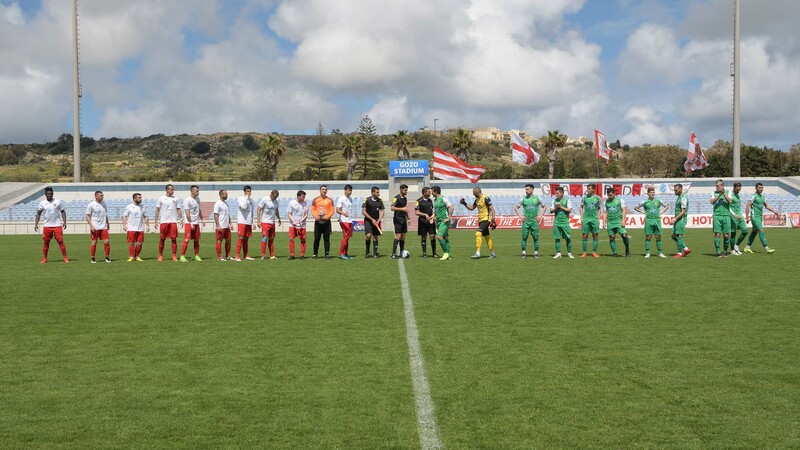 The direct clash from the relegation zone of Match-Day 19 between Kercem Ajax and Munxar Falcons ended in a large win for Kercem Ajax so that they opened a lead of six points over the same Munxar, who are occupying the bottom of the table together with Gharb Rangers. 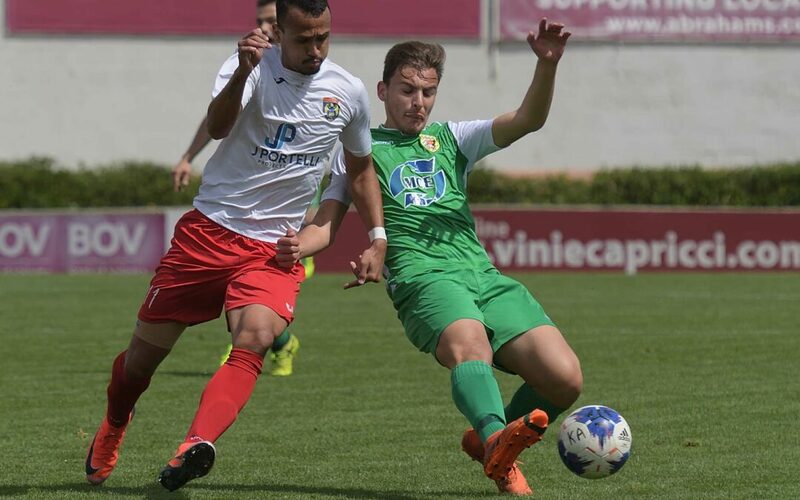 With this lead Kecem are sure that they cannot end the championship at the bottom place and they now need just one point to be mathematically sure that they will also avoid the risk of a play-off against the runners-up of the second division. Kercem started the match with a three point lead over Munxar and could have been satisfied with a positive result particularly as Munxar were aiming to win the match to reach the same Kercem on the table. 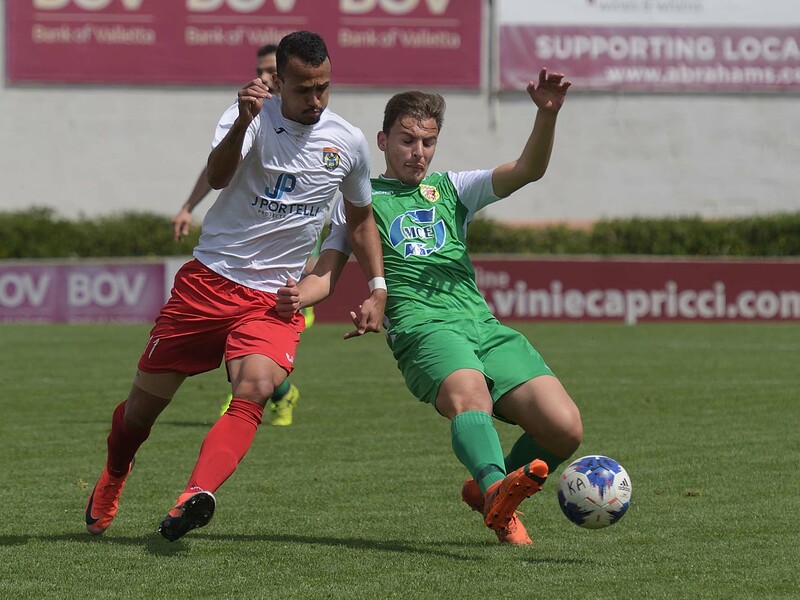 However, Kercem, who had Brazilian striker Felipe Augusto De Oliveira missing due to a suspension, managed to be well compacted at their defence and created continuous danger particularly through their young striker Andrea Debrincat and Thomas Vella. 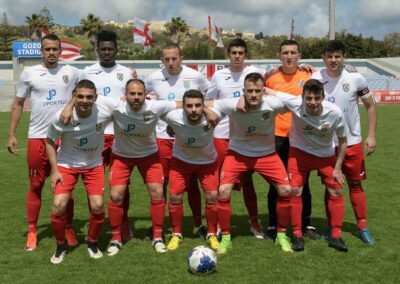 Munxar compromised the possibility to earn a positive result during the opening minutes when they conceded two quick goals to their opponents so that they failed to recover the score for the rest of the encounter. 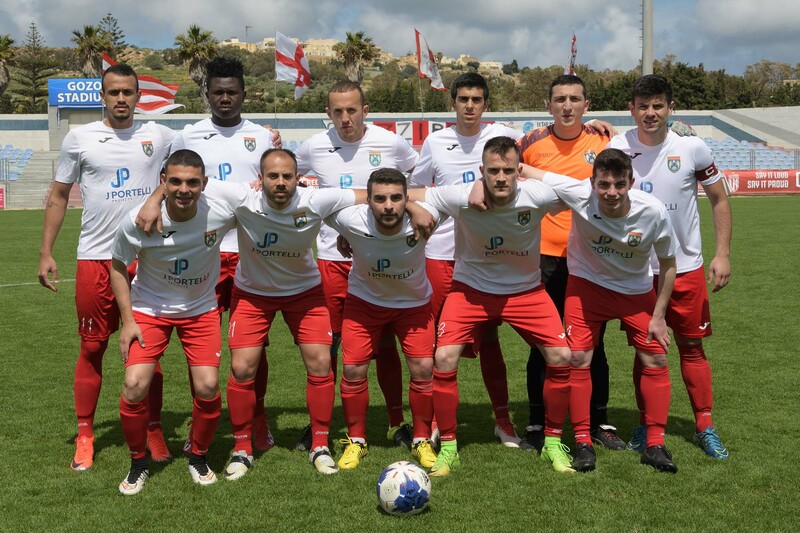 Kercem had an excellent start and opened the score in the second minute of play when Nathaniel Mercieca entered Munxar’s area, the defence failed to clear the low cross and Andrea Debrincat took the ball and fired in goal from close distance. 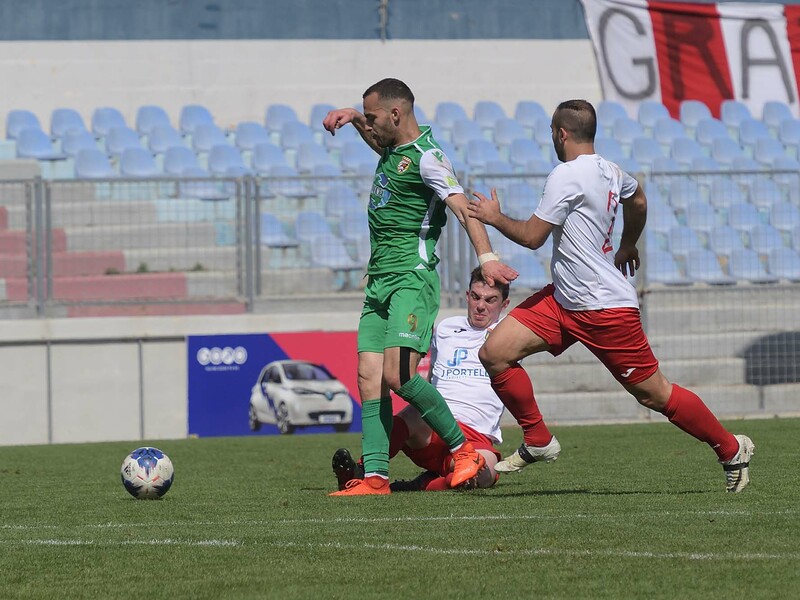 Munxar’s immediate reaction was sterile and on 10 minutes Kercem doubled the score through a first timer by Andrea Debrincat following a cross from the left flank by Andre Azzopardi. Munxar replied on 20 minutes with a header by Borja Polo Longarela following a free kick by Samwel Muscat that ended high. 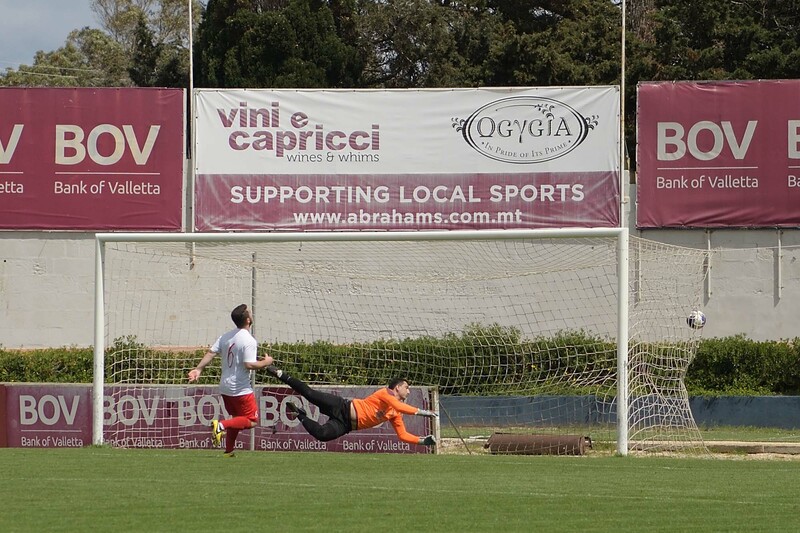 One minute later Kercem had a low shot by Owen Spiteri that ended wide and on 22 minutes an overhead kick by Kercem’s Thomas Vella following a short clearance by Munxar’s defence was well saved by goalie Damien Spiteri. On the half hour mark Kercem added another goal whe the referee awarded a p[enalty for a foul by Keith Borg on Thomas Vella and the same striker netted with his shjot form the spot kick. 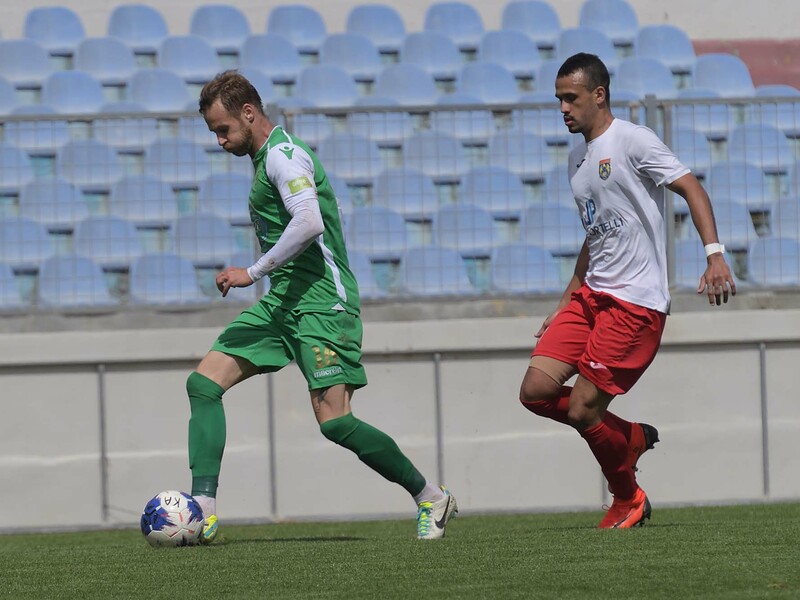 Munxar came out for the second period with an intention to reopen the issue and reduced the deficit after just thirty seconds of play through a fine shot by Vladimir Tosic who was in an unmarked position within Kercem’s area. 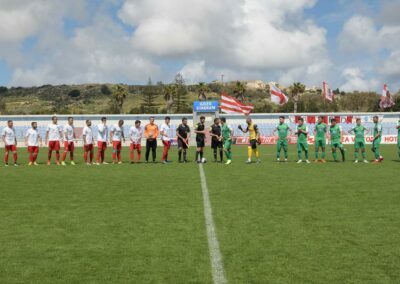 Kercem however regained composure and on 52 minutes the Ajax regained the three-goal lead when Andrea Debrincat released Thomas Vella in a counter break and the latter concluded in goal with a low shot that ended out of the reach of Munxar’s keeper. 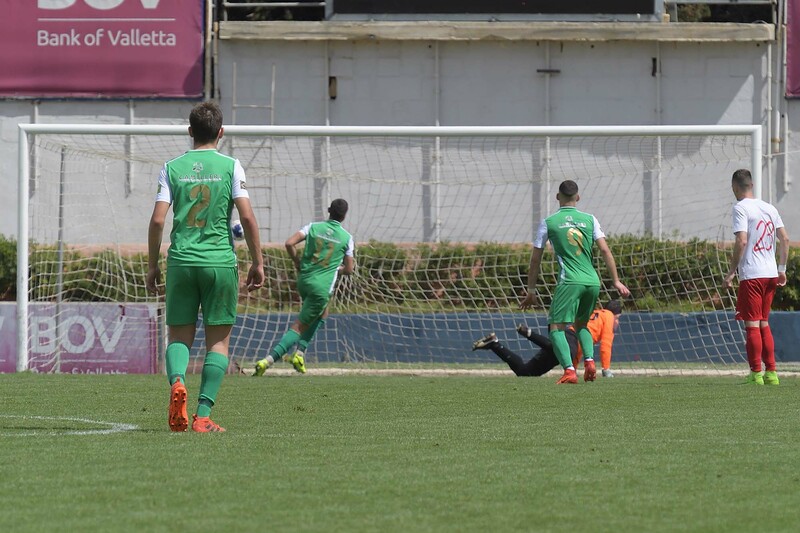 Munxar replied one minute later with a shot by Borja Polo Longarela that was well saved by Kercem’s keeper Vladimir Dizdarevic. 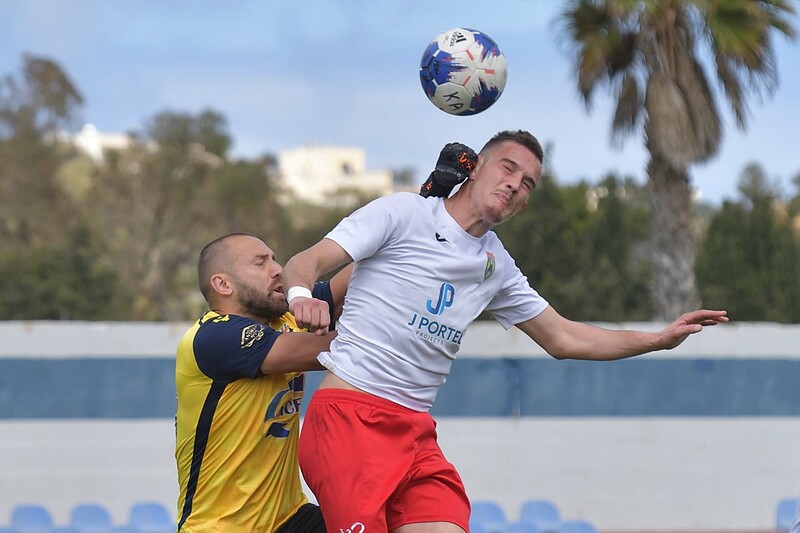 On 54 minutes Kercem were again dangerous but Nathaniel Mercieca concluded wreak from an ideal position and goalie Damien Spiteri saved the danger without difficulty. On 65 minutes Kercem scored their fifth goal when the referee awarded a penalty for a foul by Samwel Muscat on Andrea Debrincat and Kercem’s striker had his shot from the spot kick that was partially saved by goalie Damien Spiteri but from the rebound the same Debrincat took the ball and placed easily towards the corner of the net. 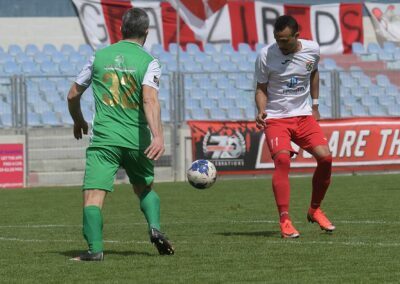 Munxar protested for a penalty, alleging handling, when a shot by Diego Martins De Souza was blocked by Kercem’s defence. 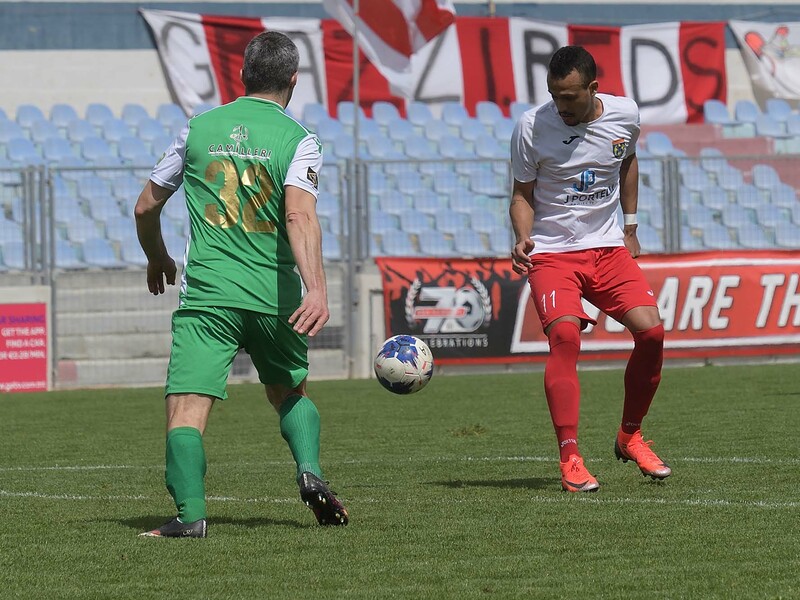 Munxar went closest to score their second goal on 73 minutes but a shot from a good position by Diego Martins De Souza ended wide.